Refrigerants are classified according to their way of absorption or extraction of heat from substances stored in the refrigerator. Classification can be divided into class 1, class 2, class 3. Class 1 refrigerants used in the standard compression type cooling system. Class 2 refrigerants are used as direct cooling between the agents of class 1 and substances in the refrigerator. They do the same work for 3 class. Class 3 refrigerants used in the standard absorption systems of refrigeration systems. Class 1: This class includes those refrigerants that's cool by means of absorption or extraction of heat from substances, cooled by the absorption of their latent heat. 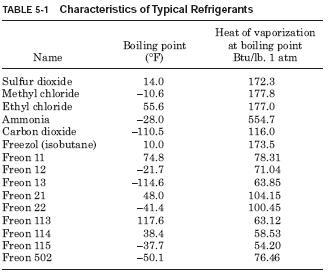 Table 5-1 lists the characteristics of a typical refrigerants. Class 2: Refrigerants of this class are those that cool substances, absorbing their reasonable heats. They air, brine calcium chloride, sodium chloride (salt), salt, alcohol, and similar non-freezing solutions. Class 3: This group consists of solutions that contain absorbed vapor liquefiable agents or refrigerants. These functions through solutions to their ability to carry liquefiable vapors. Couples produce a cooling effect absorption of latent heat. For example, ammonia solution consists of distilled water and clean ammonia.